The "recently sold" leads will be of particular interest to moving services companies, internet, phone and cable television providers, storage facilities and other companies interested in reaching the people moving out of the sold property. Another set of leads, new homeowners, will be of interest to home improvement and home furnishing companies and local service providers. 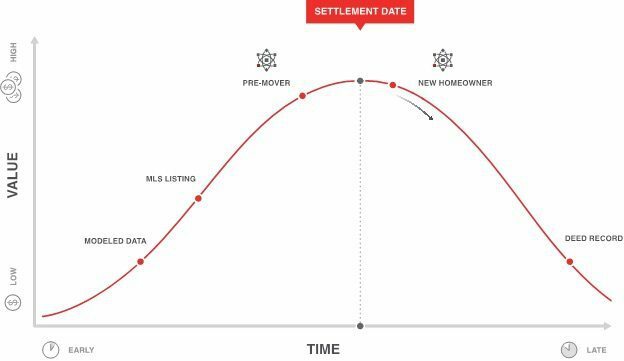 If you’re trying to find pre-mover or new homeowner leads — people who’ve sold a home and are moving out, or people who’ve just bought a home and are moving in — then you might be interested in a new lead product from Attom Data Solutions. If you’re a real estate agent looking for a particular buyer service — or paying for leads for “people about to move” so you can identify potential up-and-coming buyers — then it might also be of interest to you. These leads will be of particular interest to moving services companies, internet, phone and cable television providers, storage facilities and other companies interested in reaching the people moving out of the sold property — and to home improvement and home furnishing companies and local service providers interested in reaching the newly minted homeowner. “Leads can also be appended with hundreds of fields of information including property and current owner information (i.e. owner-occupancy status, individual owner, corporate owner), demographic information or analytics that empower highly precise targeting for direct marketing campaigns,” said the company in a statement. “It might be able to provide some service to the real estate agent for the person who is moving out — that person moving out has got to go find a place to live,” noted Richard Lombardi, Attom’s chief operating officer.